Hire telescopic boom from Cherry Picker. It is suitable for use on rough terrain where outreach is required, including general exterior building and construction work. The telescopic boom comes complete with out and up extension, perfect for areas with limited access in construction and industrial applications. 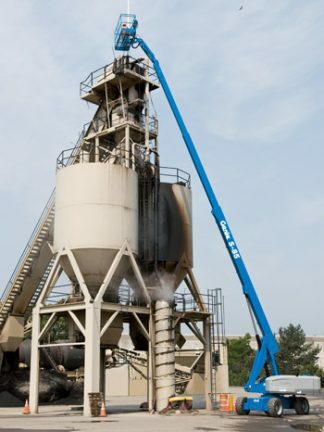 When a job requires having to work around different angles and crowded job sites, you need the right piece of equipment that gets you straight to the source, and that’s the telescopic boom. This is one of the many products Cherry Picker has to offer of access equipment, which will help you work safely at any height. So, whether you are interested in hiring on a daily, weekly or long-term basis, we can guide you in the right direction. Call us on 1890 228 229 or 01 835 4788 and let our Cherry Picker sales experts help you choose the right access platform to meet your needs.